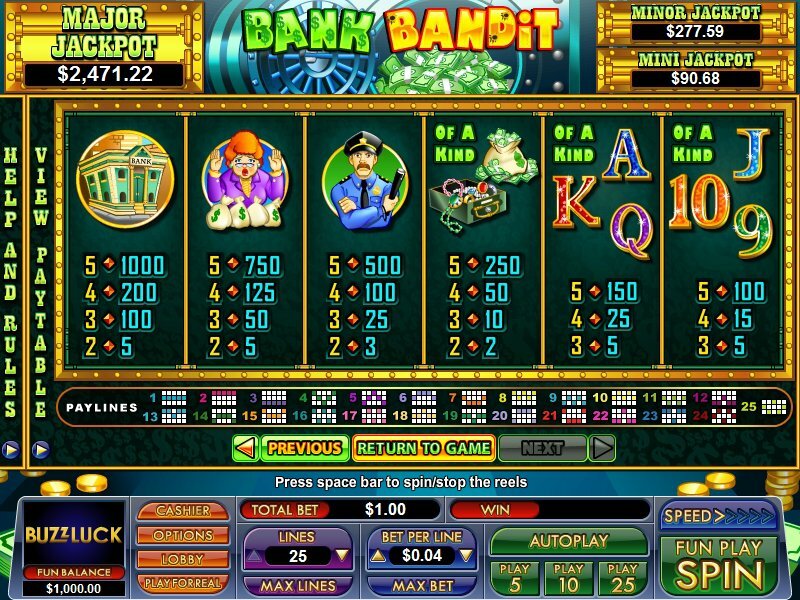 Overview: Lock up your valuables -- there's a thief on the loose in Nuworks Gaming's new 25 line slot, Bank Bandit. 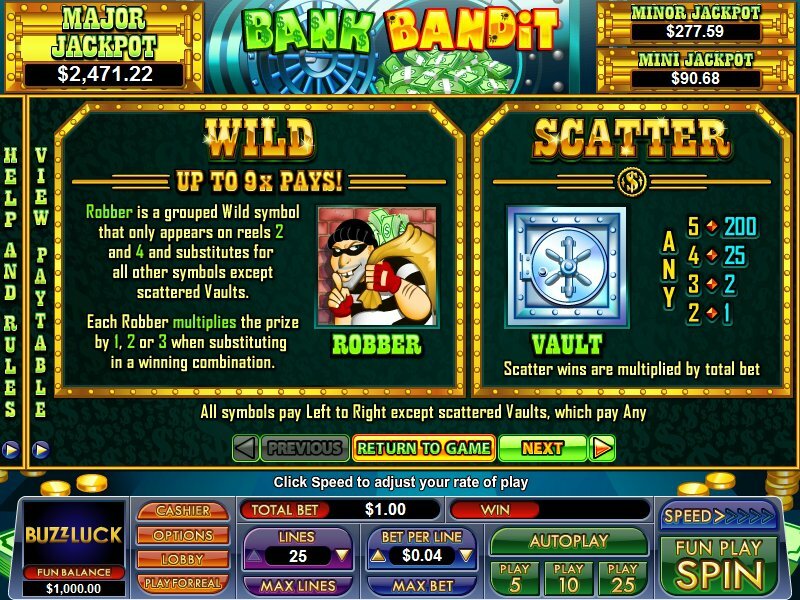 Win up to 9x pays with the Wild Robber symbol appearing grouped and multiplying your prize. Unlock the Vault to win a stack of free games, where prizes are multiplied by 1 in the first free game, by 2 in the second, by 3 in the third and so on, up to a massive 15x pays. The Robber Feature awards free games with prizes multiplied up to x 16, giving you the opportunity to sneak off with some attractive loot. Go get'em! 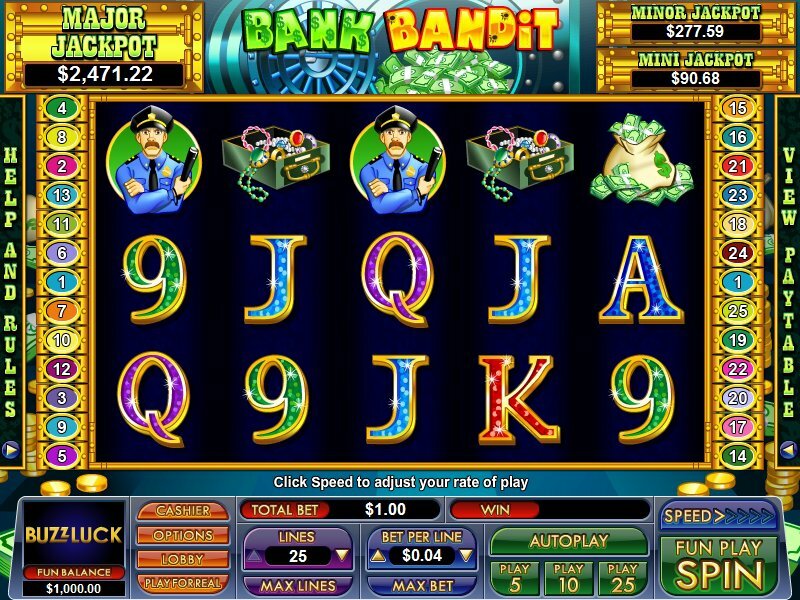 Similar Slots: If you like Bank Bandit, you might like these other slot machines from NuWorks: Birdy Bucks, Carnival Cash, Head Hunter, Monster Millions, Win Big!.